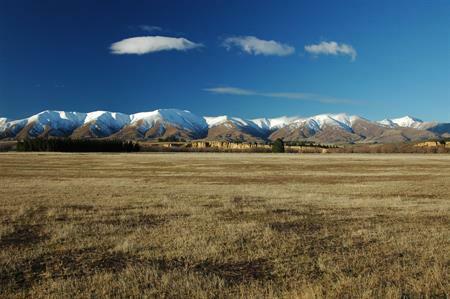 Alexandra is Central Otago’s commercial and cultural centre and a popular year round holiday destination. 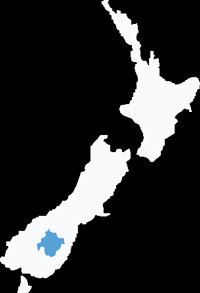 Nestled in a large river basin at the junction of the Manuherikia River and the mighty Clutha River. Alexandra is surrounded by a distinctive 'moonscape' of rocky schist tors and stark high country. Experience the drama of its seasons – the burst of blossoming fruit trees in spring, the wafting scent of wild thyme on a hot summer day, the glisten of red and gold in autumn and the bright mystical beauty of a winter hoar frost. Born in the gold rush era, Alexandra is renowned as the birthplace of river-based gold dredging and bloomed again, when its fruit growing potential was realised. The local Central Stories Museum and Art Gallery offers the opportunity to learn about the town's unique and rich heritage. Alexandra is the hub of cycling and mountain biking in the region with both the Otago Central Rail Trail and Roxburgh Gorge Trail located in the area. 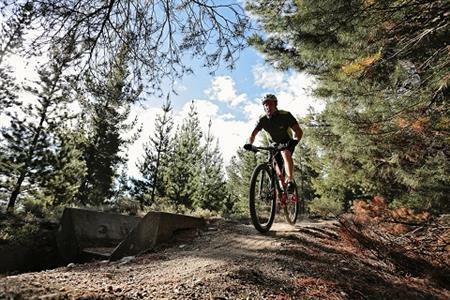 The Alexandra to Clyde river track is another favourite with locals and visitors, while the hills around the town offer a multitude of back country mountain bike rides that cross Central Otago’s vast open landscape. Visit historic stone bridge piers and buildings, dredge tailings, stone walls, sluicing remains, miners’ workings, tail race tunnels and historic churches. Alexandra is also home to one of the world’s most unusual clocks, standing 11 metres wide on a rock face high above the town. Enjoy the eateries, wineries, parks, artists’ studios, golf course and modern facilities of Alexandra. Accommodation is plentiful from motels, bed and breakfast places, camp grounds to lodges. There are many opportunities for recreation including boating, swimming, fishing or exploring the hills and valleys by foot, mountain bike or four wheel drive. Celebrate 'Central' at New Zealand's original Blossom Festival in September, The National Merino Shearing & Wool Handling Championships and Wool On Fashion Awards in October, the Thyme Festival in November, Otago Central Rail Trail Duathalon in February and first class cricket matches throughout summer. Taste fruit picked fresh from the tree, visit award winning wineries and meet the producers. feel the rivers’ cooling touch and step back in time, here in Alexandra, the heart of Central Otago. Cosy homestays, vineyard retreats, holiday parks and motel comfort. Alexandra caters for all level of traveller needs, and almost all accommodation is within walking or cycling distance of the heart of the town. A mix of cafes, bars, and restaurants can be found in Alexandra. 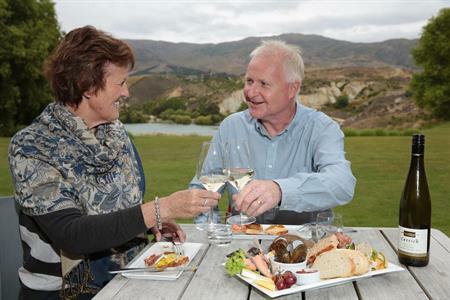 Many are nestled in historic buildings and offer a selection of locally grown Central Otago foods and local wine and beer. Learn the history of the gold miners at a local musuem, or ride the numerous cycle trails that surround the town. Alexandra is renowned as the birthplace of river-based gold dredging and bloomed again, when its fruit growing potential was realised. The local Central Stories Museum and Art Gallery offers the opportunity to learn about the town's unique and rich heritage and the Central Otago Arts Trail offers an inspiring pathway to local artists studios..